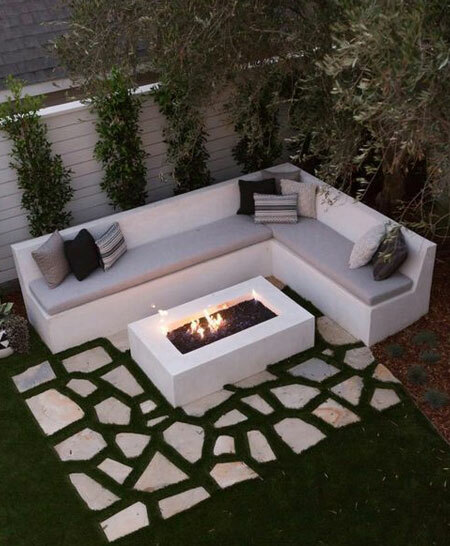 As soon as I spotted this custom outdoor sofa, I knew I had to make one for my outdoor entertainment area, and it is now definitely on my 'To Do' list as a future project. 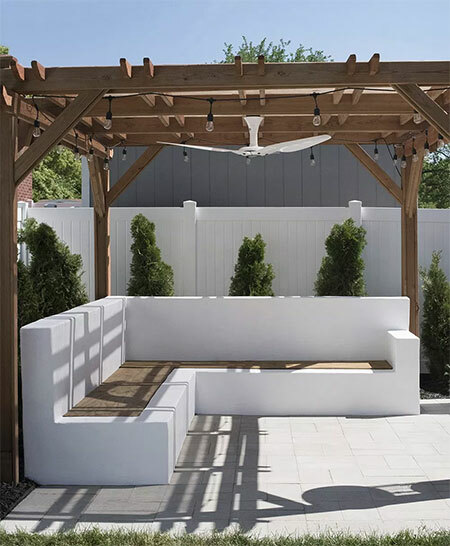 This outdoor sofa was designed and built by sarah and her husband over at room for tuesday, and is definitely a great project if you are looking to add some seating to your outdoors. 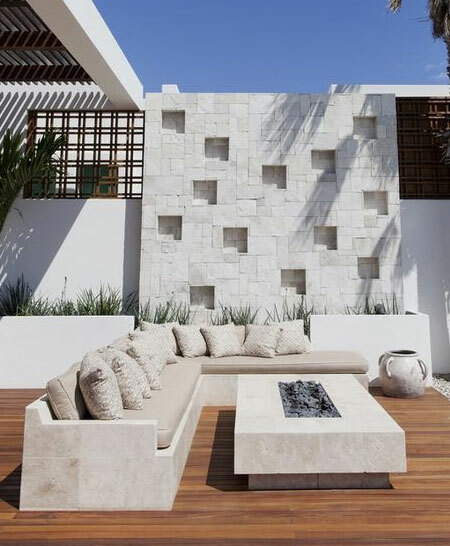 The concrete sofa is constructed of concrete blocks laid on top of each other and assembled using construction adhesive (see Sikaflex11FC) or mortar mix. 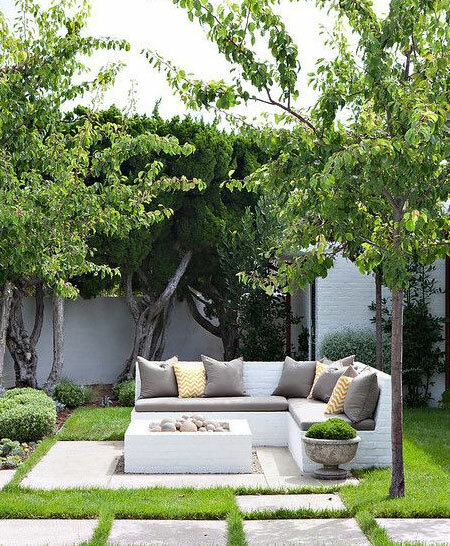 The built sofa is then finished off with fibre plaster that provides even more strength. 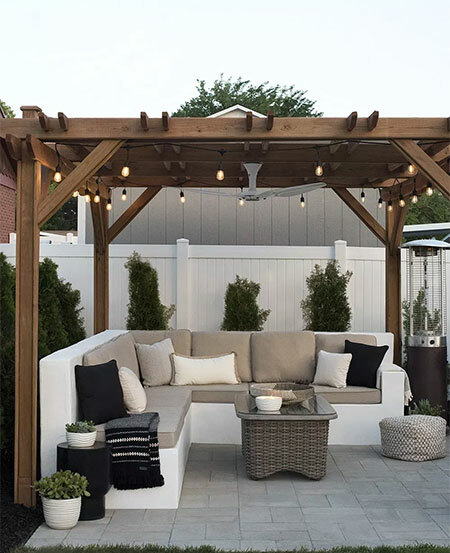 Since this is a custom piece, you can adjust the size to fit into any space - small or large - to provide the right amount of seating for any outdoor or entertainment area. 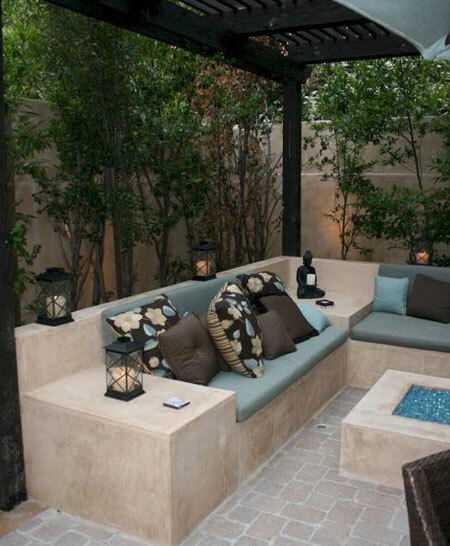 Using a basic building design allows you to completely customise your outdoor seating requirements to fit in with whatever space is available. 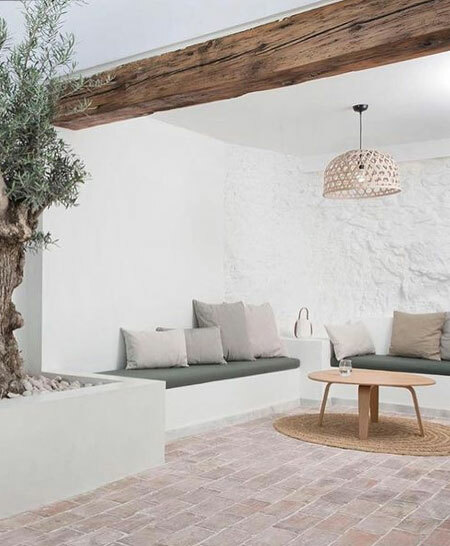 It will also work out far cheaper to build a brick and plaster sofa than buy hardwood furniture, and you will discover that this type of design requires little or no maintenance to keep it looking good - all year round - whatever the weather.